There are so many great things about the humble building block toy, but quiet they are not. Until now. 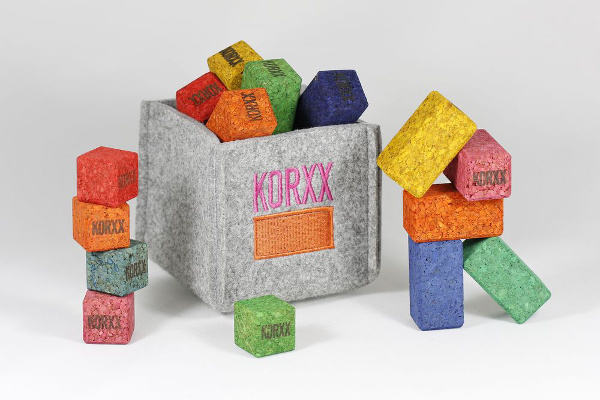 Korxx is a German company that produces the most lovely cork building blocks. Their philosophy is to create toys that are not only enjoyable for children and their parents, but also environmentally sustainable and free from harmful chemicals. If your children are anything like mine, they seem to find the nosiest toys to play with first thing in the morning. A box of Korxx blocks strategically placed in their bedroom may be the solution. Made from natural, sustainable cork, they are lightweight and, unlike traditional blocks, quiet when tipped out of the box or knocked down. That also makes them the perfect plaything for older siblings when there’s a sleeping baby in the house. The beauty of a classic set of building blocks cannot be underestimated. 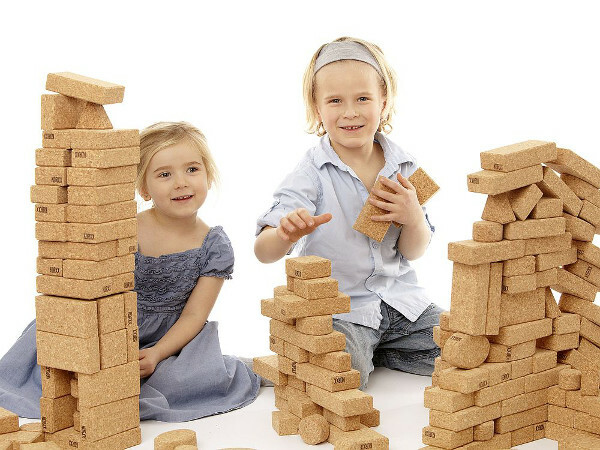 Hours of imaginative play can be had in creating all manner of towers and castles, but we all know the frustration when the blocks collapse. Korxx are designed with cut edges that provide enough grip for those physics defying builds. Winners of the ‘Spiel Gut’ (play well) award, buy direct from Korxx from €19, with international post available.